Item # 315703 Stash Points: 995 (?) This is the number of points you get in The Zumiez Stash for purchasing this item. Stash points are redeemable for exclusive rewards only available to Zumiez Stash members. To redeem your points check out the rewards catalog on thestash.zumiez.com. 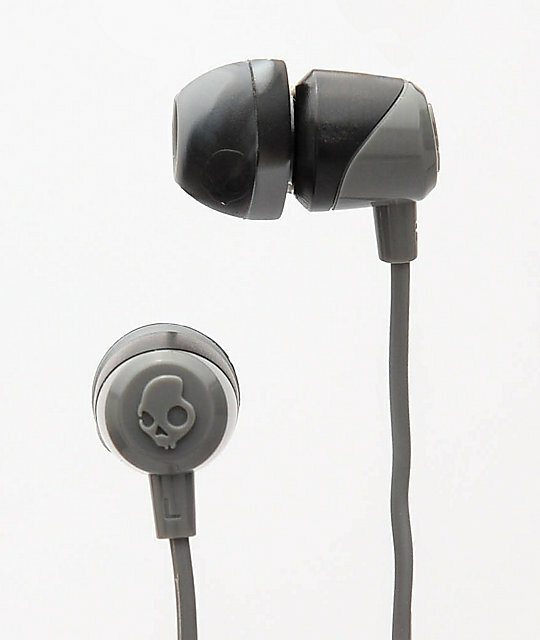 Get your ears their new best buds with the Skullcandy Jib Grey Swirl & Black Earbuds. Complete with Skullcandy's high-tech Supreme Sound technology, these compact headphones pack an excellent pitch-range and overall sound. Durable and with plenty of extra ear gels, you'll be rocking out on plenty of bus rides and skate sessions to come. 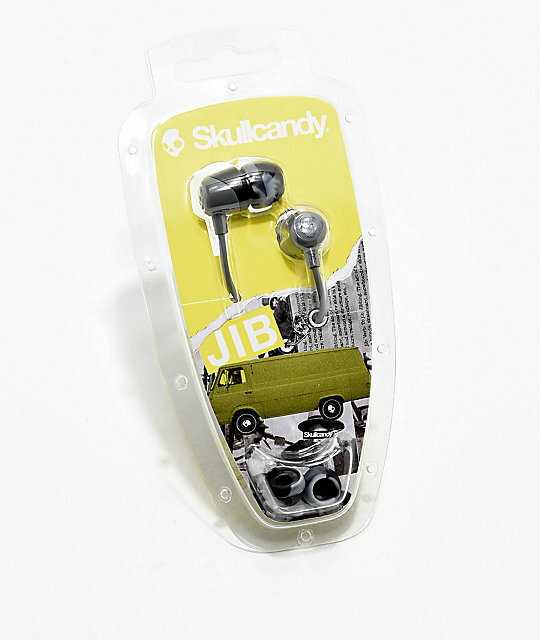 Jib Grey Swirl & Black Earbuds from Skullcandy. Supreme Sound: Skullcandy's patented design for a seamless in-ear fit to block out external sounds & optimize acoustics. Includes additional silicone ear gels. Limited 2 Year Warranty through manufacturer.